In 1884 Reher was injured in a mining accident; a winch failed and he fell down a shaft. The accident left him an invalid. He died in 1891, seven years later. In 1893 in Talbot Alice re-married, to her brother-in-law Thomas Fish (1872–1941), younger brother of Alfred, husband of her sister Rachel. Alice and Thomas had three children. Two were born in Talbot, in 1895 and 1898; the third was born in Creswick in 1900. 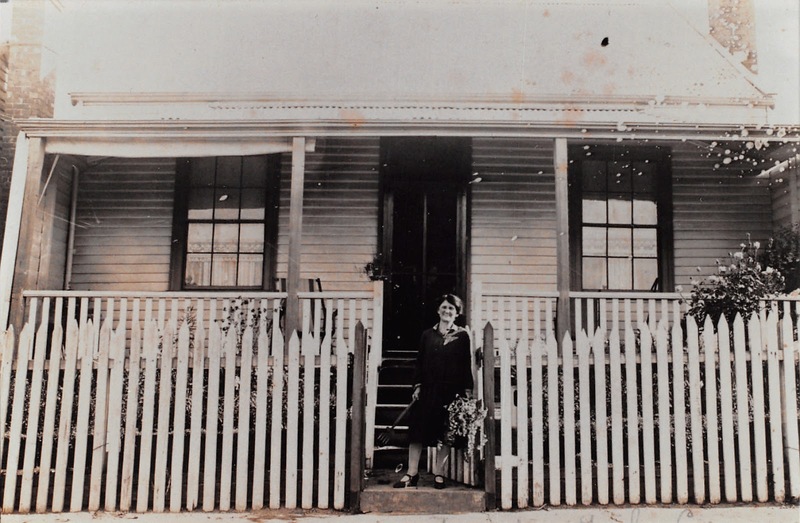 Among some Young family photographs, which Noel Tunks kindly passed to me, there is one (undated) of Aunty Alice Fish standing on the steps of her house in Raglan Street, Creswick. The photograph is of Alice’s second house. The first burnt down in 1910. 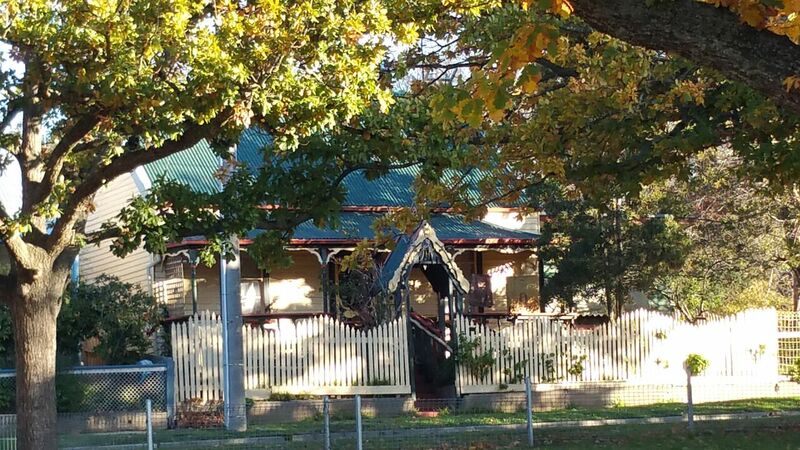 I think the house is at Raglan Street, Creswick and it seems to be still standing. 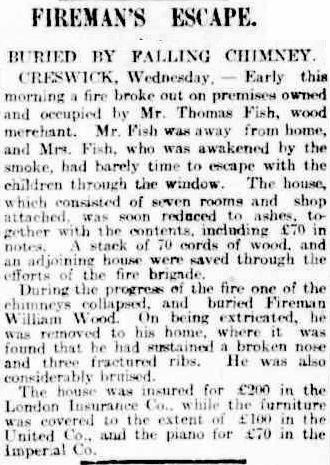 In 1910 there was a fire at the house of Thomas Fish in Raglan Street, Creswick. 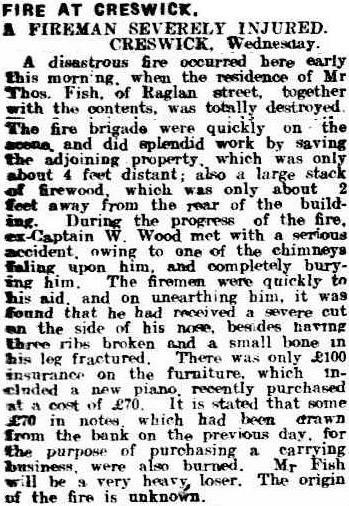 The fire, possibly caused by hot coals falling out of a fireplace, destroyed the house and everything in it, including a new piano. Alice and her children escaped through a window, just in time. Mr Fish was away from home. A fireman was injured when a chimney collapsed. The Fish family were still living at Raglan Street at the time of Alice’s death in 1935. Alice was my husband’s great great aunt.